If you are extra adventurous, head to Apayao. Long gone are head hunters who invaded the place as they only form part of Apayao’s rich history, culture and exotic natural beauty. Located deep in the Cordillera Mountains, going there is by land. From Metro Manila, take a northbound bus to Junction Luna (either Florida or RCJ Lines) for approximately 12 hours, traffic free. There are at least two major routes going to Apayao as it is subdivided by lower and upper Apayao. Though Kabugao is the capital town of the province, its new capitol or government center is seated on top of a hill in Luna, Apayao, the economic zone of the province. Composed of seven municipalities, the Apayao river serves as the bloodline where farmers and fisher folk depend for a living. On your way to Apayao, either via Junction-Luna in Abulog, Cagayan or in Tuguegarao City, enjoy the lush green forests, crystal clear rivers and creeks as friendly locals welcome you with smile. At 20, the country’s youngest province since its separation from Kalinga on February 14, 1995 has transformed itself from a less known province to a promising agri-business and ecotourism destination, being the Cordilleria’s last frontier for nature’s richness. Apayao takes pride of its unspoiled underground rivers, majestic waterfalls, magnificent lakes hugging a forest reserve with captivating caves, natural parks and exotic wildlife including sightings of the endangered Philippine eagle in at least three areas of Mount Lambayo in Barangay Lydia in Pudtol, Mount Asi in Kabugao and the thickly-forested and largest municipality of Calanasan. The Lussok crystal caves and underground river in Sitio Kabunnayan, about five kilometres from the national highway in Barangay Dagupan in Luna town draw local and foreign visitors particularly this summer as going there is as thrilling as riding a wooden banca, climb up magnificent caves of various formations and hike up a trail, passing through exotic vines and flowering orchids that climb up century-old trees along with the chirping of wild birds. Picnic tables under the shade of trees are also available. Since it is a relatively new destination, the provincial government under its Provincial Tourism Office led by Rebekah Tamaken-Mamba recently established a tourist assistance center and assigned tourist guides in the area. Local officials and concerned residents are also helping manage the place to ensure its cleanliness and tourist’s safety. Inside the cave are at least three chambers with dripping cold water that forms live stalagmites and stalactites of various intriquing shapes, making its quite irresistible for spelunkers and hikers. There is also a cold blue lagoon connecting to the mouth of the cave where visitors can swim while waiting for their turn to ride a non-motorized boat going to the cave. The Bayugao waterfalls, also in Luna, is a refreshing sight to behold. About 4-kilometers from the Poblacion, a three-deck cool mountain spring waterfalls rising about 12 meters high from each other is a haven for nature lovers. If you feel like Tarzan and Jane, you can climb up the vines nearby or hunt for freshwater eel hiding under the rocks. Due to its fragile environment, residents and tourists visiting some of these eco-tourism sites however are advised to take full responsibility in safeguarding these natural wonders. Take photos, dispose your garbage properly and leave only your footprints. Investing on eco-tourism initiative as a way of alleviating poverty in this landlocked province, the Provincial Government of Apayao under the administration of Governor Elias “Butzy” Bulut Jr. is all set for the development of more eco-tourism sites in the province, including the war-torn village of Marag Valley, which was once a battle ground of the New People’s Army in the 80s and 90s. To date, a trekking trail for multi-sports enthusiasts and adventurers is also being established in Marag Valley, about two hours drive from the Luna town proper to explore the manificent Dupag rocks formations, crystal clear rivers, waterfalls and caves. 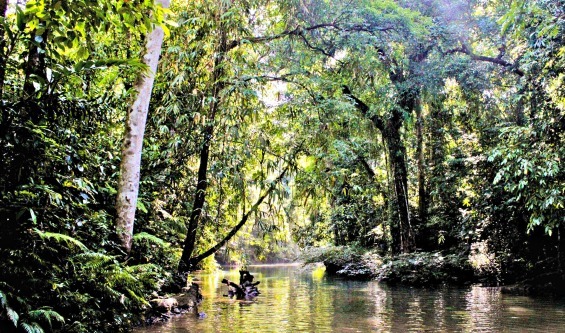 In an earlier interview, Provincial Tourism Officer Mamba said works are underway to transform the image of Apayao province as a safe haven for adventurers and nature lovers wanting to get rid of toxic routine of a city life and head on to the hidden paradise of Apayao where you can recharge for fresh air, fresh environment and exotic food trip. With a significant improvement of roads and bridges, making the seven municipalities of Apayao more accessible to its neighboring provinces, local and foreign tourists are lured to Apayao to explore its numerous hidden waterfalls and caves, rock formations, hot springs and one of the Philippines largest forest reserved area which serves as a critical habitat for exotic plants, fish and animals along the stretch of the Apayao river, rolling hills and plains and mountain ranges.